Subaru’s icon car, the Outback, has had a bit of a facelift for 2018, with a new grille, bumper redesign, wing mirrors, headlights and other changes. Also new are Steering Responsive Headlights, Front View Monitor, Google Auto and Apple CarPlay functionality, Side View Monitor, third generation Eyesight system, and now a 7-speed manual mode for the 2.5-litre models. It feels a bit like ‘if it ain’t broke, don’t fix it’, and who can blame them. 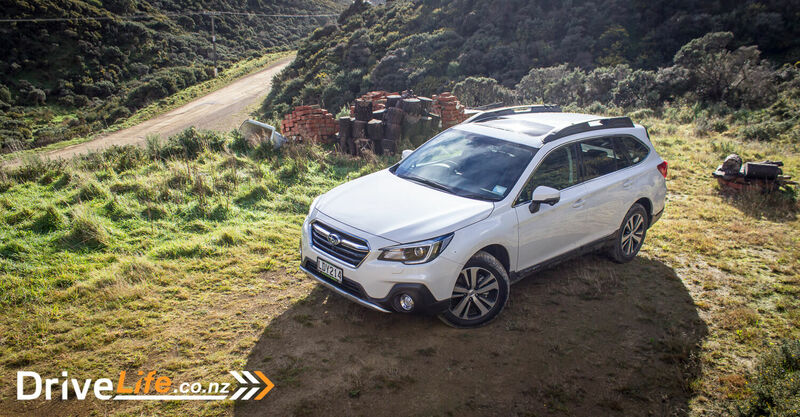 Subaru sent us both 2.5 and 3.6 models to test, and while out in them, we spotted Outbacks all over the place. 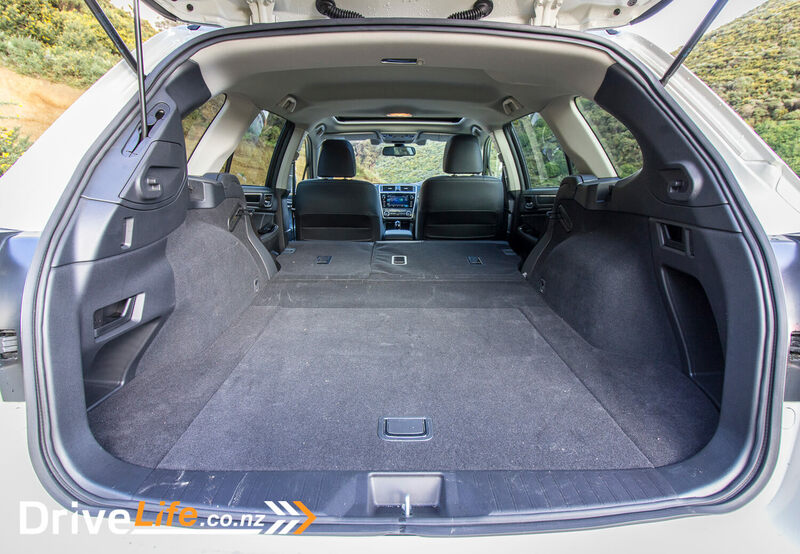 For many New Zealanders who enjoy an active lifestyle, the Outback is the wagon of choice, and with good reason. With excellent ground clearance and a solid reputation, it seems the Outback can do little wrong. 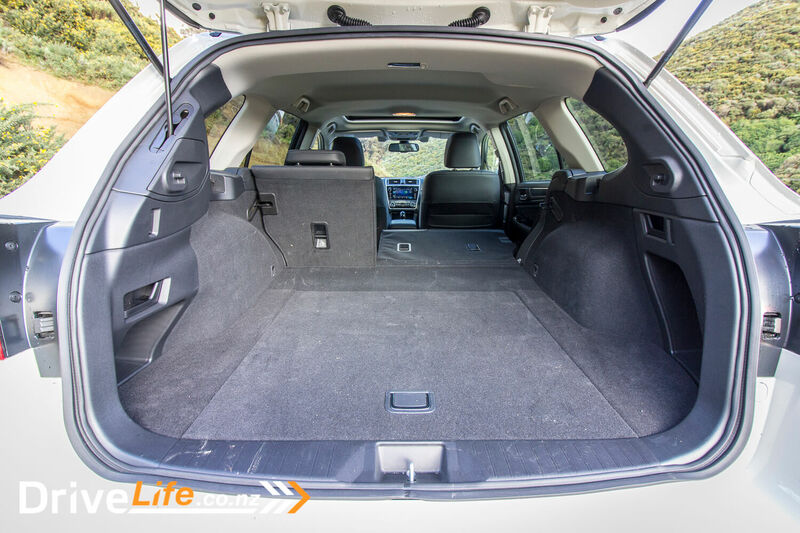 At the bottom end of the range, you have the 2.5i Sport model, retailing at $44,990. This comes with features like a 6.5” central infotainment display, dual-zone AC with rear vents, electric park brake, cloth upholstery, a leather steering wheel, paddle shifters, adaptive cruise control, 18” alloy wheels, front fog lamps, DRLs, 213mm of ground clearance, auto wipers, power folding mirrors, full time AWD, 7 airbags, X-Mode with Hill Descent Control, and engine auto start/stop. The Eyesight safety system which includes pre-collision braking, pre-collision brake assist, pre-collision throttle management, lane sway and departure warning, lead vehicle start alert, and lane keep assist. 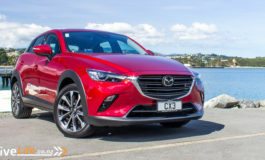 The 2.5 Premium model weighs in at $49,990 and then adds leather upholstery, an 8” centre display, 10-way power adjustable driver’s seat with two memory settings, an 8-way power adjustable passenger seat, heated front seats, keyless entry and start, SatNav with three years of map updates, heated side mirrors, auto & steering responsive LED headlights with self-levelling, an electric tailgate, LED DRLs, front view monitor and side view monitor. The Eyesight system is also more featured, with blind spot detection, lane change assist, high beam assist, and adaptive driving beam. For that much extra kit for $5K, you’d be crazy to buy the base model. Top of the three-model range is the 3.6R Premium. Other than the engine change, it also adds a 12-speaker Harmon/Kardon sound system for its price of $59,990. Both 2.5-litre models have a DOHC boxer engine putting out 129kW of power and 235Nm of torque. 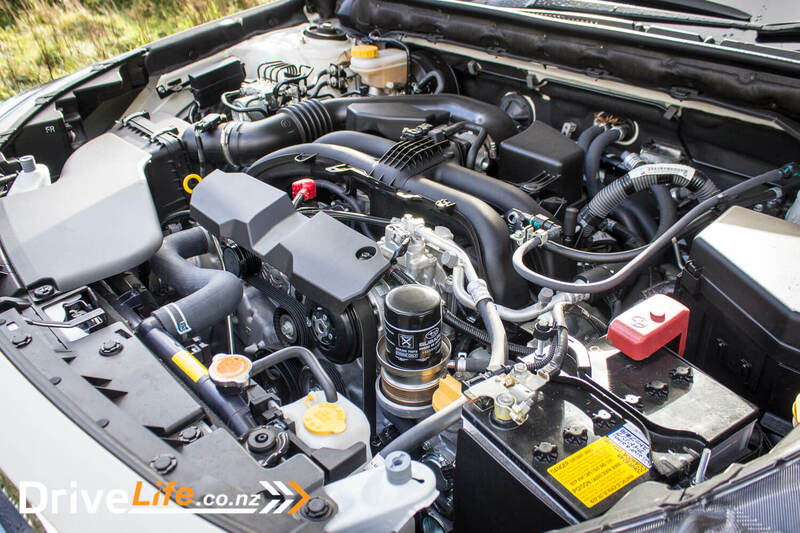 The 3.6 is fitted with a 3.6-litre, DOHC, 6-cylinder boxer engine, pumping out 191kW of power and 350Nm of torque. DriveLife tested both 2.5 & 3.6 models, both were the Premium model, and both were white. It may be changed from the previous model, but it’s a bit hard to pick up those changes. Driving around and seeing other Outbacks, I was hard-pressed to notice any differences. But then, it’s still a good looking car. Large, sure, but still attractive and nicely proportioned. It feels large when you are inside the car too, as that expansive bonnet seems to stretch out in front of you. The first thing I noticed was the old-school sunroof, albeit a tilt/slide model with a manual blind. These are getting rarer now as most go to a panoramic sunroof. Still it was a nice feature to have, and still allows some extra natural light into the cabin. While all the leather in our Premium model is black, at least the headlining is grey, so it’s not too dark in there. 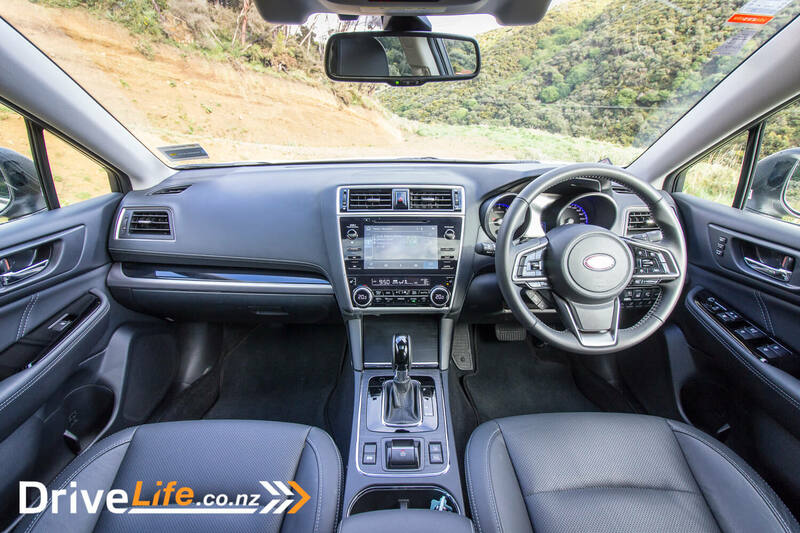 Interesting to see that the Outback doesn’t do the dual-centre screens like the XV, Forester, and Impreza. There’s just the one main screen to do all your work for you. Not the end of the world though, I do feel a bit spoilt in Subarus when they have two centre displays. It’s a fairly big display too, at 8.5” in the Premium and 3.6R models. There was one blank for a switch on the centre console, and my gut tells me that would be for brake auto-hold, if the Outback had that. Unfortunately it doesn’t have auto-hold, which is a real shame. Also missing is Qi wireless phone charging, but I doubt this is a make-or-break for buyers. The menu system itself is a simple one, and the icons for each function are large and colourful – to the point where the home screen looks like an Apple CarPlay home screen. A bummer though the home screen itself doesn’t actually do anything other than offer you shortcuts to the functions you can do. I’ve said this about other manufacturers too – having a ‘proper’ home screen that gives you a read of (say) fuel consumption and satnav map at the same time is a very usable feature. The whole front section of the Outback feels pretty spacious, with its leaning back centre console and screen, there’s a feeling of space. 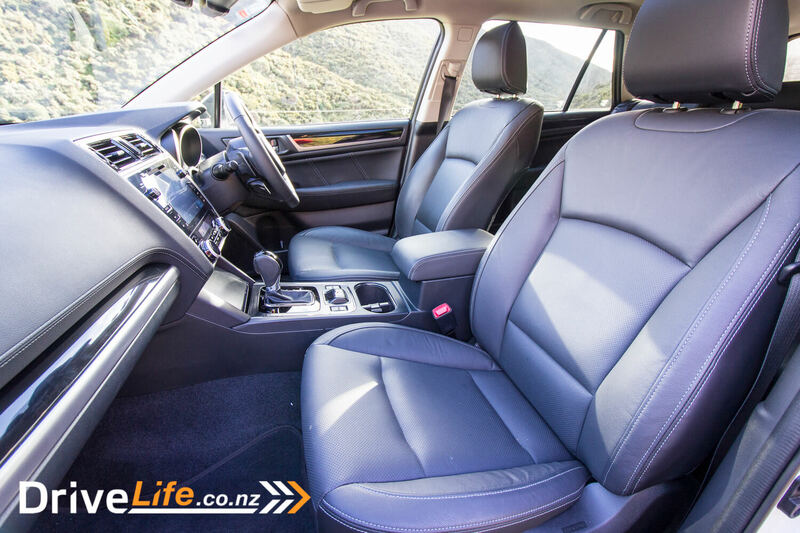 Legroom in the front is average for the class but should be no complaints from front or rear seat passengers. The seats themselves are worthy of a mention. There’s power and heated front seats in the Premium models, and the driver also has two-way electric lumbar adjust. Comfort is excellent – not too hard, not too soft. 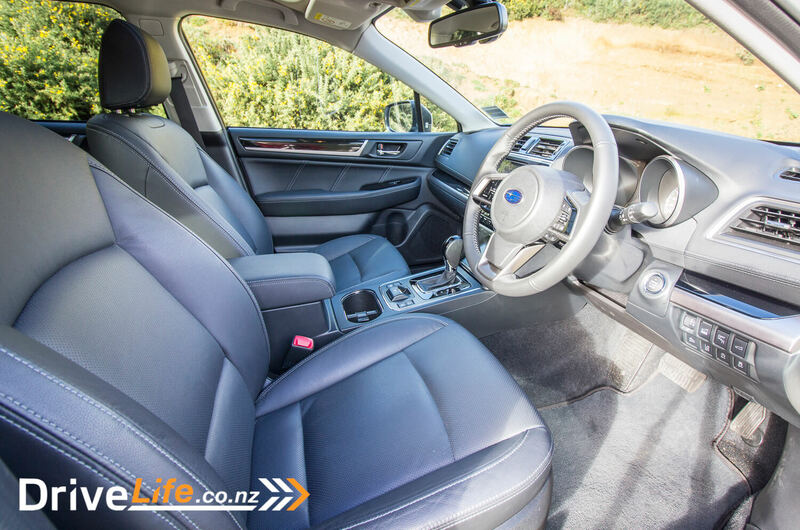 There isn’t too much side support in the seats, but it’s unlikely that the Outback driver is going to be hanging it out on the corners – more like keeping an eye on the two kayaks tied to the roof-rack. 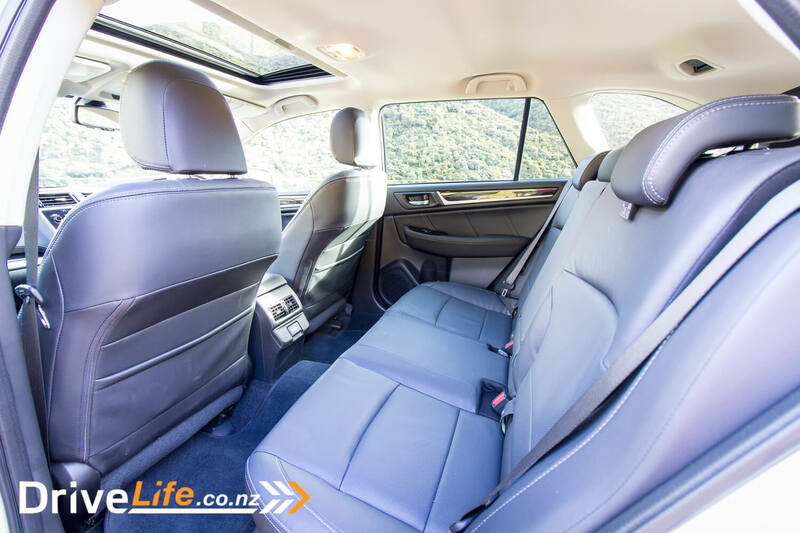 The rear seats too are comfy, and are also adjustable for rake – great for those long drives home with passengers, after a day at the mountain. Rear seat passengers get two USB ports for charging phones, while the front also gets two USBs, an AUX port and a 12V socket, right at the front of the console. There’s another 12V socket under the centre armrest. The glovebox is worth mentioning – quite roomy, and certainly bigger than some cars we’ve tested lately. At night, there’s a nice blue hue light shining up the door handles. 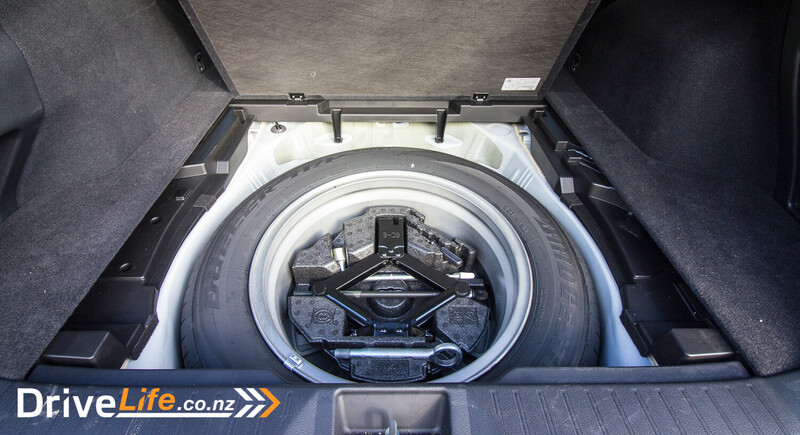 Opening up the electric tailgate sees a good-sized boot, with – surprise, surprise – a full-size alloy spare wheel in the wheel well. It’s been a while since I’ve seen one of those. As always, first things first: sync my phone via Bluetooth. This takes less than a minute, and it was great to see the Outback remembered to go back to my phone for music after I returned to the car. I still can’t believe there’s cars out there that don’t do this. As usual with a Subaru, there’s a good range of info to be seen in the Driver’s information display, and it was great to see the current speed limit shown when you had the digital speedo showing, or turn-by-turn directions from the SatNav. Speaking of the SatNav…we are used to systems struggling with Maori place names or street names. That’s a given. The Outback made me chuckle every time I used SatNav, as it struggled to pronounce the English word “towards”. When using SatNav, it says this a lot, and says it like “tarwids”. I’m not sure if that’s an Australian pronunciation or what (I wouldn’t put it past the Aussies) but it sure was funny every time she said it. A nice touch of the Outback is when you run low on fuel, the centre display will remind you and (if you want) search for nearby petrol stations. Handy! Visibility out of the Outback is a strong point, with relatively thin C pillars, and Blind Spot Monitoring. Visibility all round is excellent. But…and I hate to pick on one thing – those blind spot monitoring (BSM) warning lights are far too bright. Normal BSM is a little orange icon on the mirror itself, but the Outback (and other Subarus) has BSM as a row of LED lights on the inside of the mirror body itself. This isn’t bad, but they are so bright they are to the point of distracting. The other negative? They don’t seem to dim at night, so be prepared for a couple of orange searchlights on the mirrors to come on and off as traffic comes alongside you. Still on the BSM lights, these are used when (for example) backing out of a driveway, which is great – an additional warning that traffic is coming. But I’m not sure why the Outback doesn’t just light up one light, depending on which way the traffic is coming. So much simpler, and more effective. This is how other cars do it, and it’s a nice, simple safety touch. The 2018 Outback sees an improvement in the CVT, now with a 7-speed manual mode, in place of the old model’s 6-speed. Some may know I’ve not been a fan of CVTs in general, and especially Subarus – the supposed ‘stepped mode’ just didn’t seem to step at all, and you end up with lots of CVT flaring and what felt like not much forward motion. I’m happy to say that the 2018 model’s CVT transmission is better. It does feel more like a ‘real’ automatic most of the time, and is a definite improvement over the old one, especially in SI (Sports) mode. Would I still prefer a normal automatic over a CVT? Definitely. A nice touch though is when you slip the transmission into ‘manual’ mode, the gauges change to red, giving you a sporty feeling. Using Subaru’s Eyesight system of cameras, the Premium model has a plethora of safety items associated with the system. One of them is ‘lead vehicle start alert’ which gives you a little beep if the car in front moves off, and you don’t. This saved me from embarrassing horn toots on more than one occasion, as I was writing notes and didn’t realise the traffic had moved off. Speaking of beeps, well there are still plenty, and it can drive some people a little crazy. The main culprit for this is the adaptive cruise control, which works beautifully, but insists of beeping every time a car moves into your lane, or out of your lane, or the car simply accelerates. I don’t need to be told this, and would prefer the system just did its job as it does on other cars. A shame too that you can only increase or decrease the cruise control speed in 5km/h increments; not the end of the world, but sometimes just going up or down a few km/h is handy. On the motorway, that boxer motor is silky smooth and quiet. Wind noise too is very low, and unless you are on coarse chip seal, tyre noise is minimal. 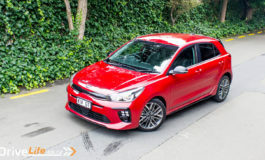 How does it go for a 2.5-litre car? I think the answer is, ‘okay’. Maximum torque is at 4400rpm, so likely that doesn’t help things. The car screams out for a nice 2.0 or even a 1.6-litre turbo motor. That would transform the Outback into something a bit more fun in keeping with its buyers – fun-loving outdoorsy people, who want to haul stuff about. A far better option here then is the 3.6 model. The 191 kilowatts of power in that six-cylinder masks the CVT’s habit of flaring, and it’s simply a far better drive than the 2.5. For me, the 3.6 performs the way I expect the 2.5 to. That six-cylinder boxer engine is so freaking smooth and quiet, it’s a real gem. A bit strange that if you buy the 3.6-litre model, there’s no badges or anything else externally (or internally) to tell everyone you got the decent motor, but who cares – it’s the one to buy. Si mode does give the 2.5-litre car a bit more go though, but it doesn’t transform the car. Interesting that when moving the shifter to manual mode, you can’t then use the shifter to move up and down the gears, you must use the paddles. 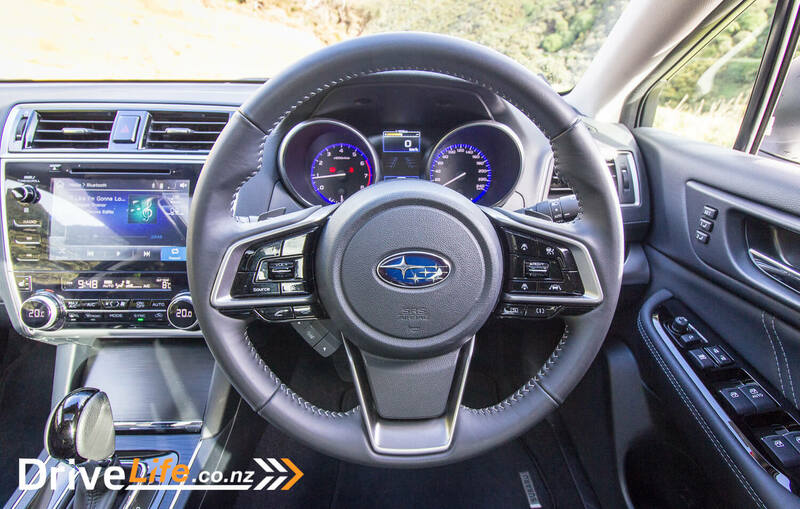 The 3.6 in SI mode is a lovely drive, peppy and eager, like we expect a 191kW Subaru to be. There’s over three seconds difference in the time is takes the 2.5 to get to 100km/h than the 3.6, so that should tell you something. On the daily grind, that visibility helps heaps, although I was a bit shocked that there are no front or rear sensors to aid with parking at all. I wonder if Subaru dumped these, since the Eyesight system sort of does this for you, but they are handy in all cars. 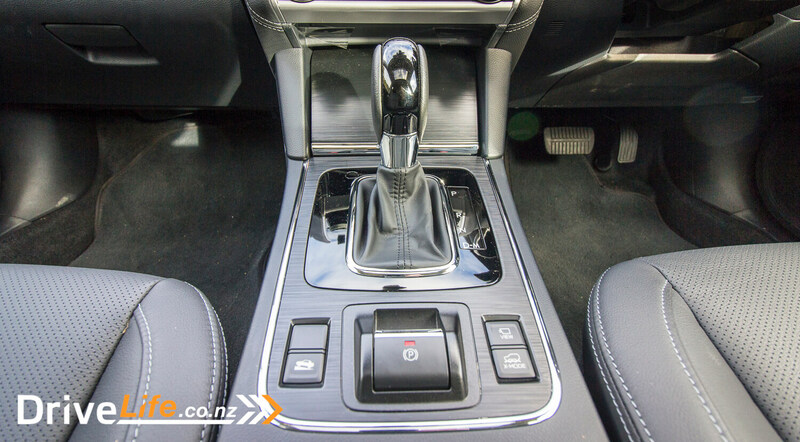 The Outback’s brakes are nicely progressive with good feel – slamming them on at 100km/h sees no drama. I did it for you, people. At night, the Premium model’s intelligent, self-levelling, directional headlights are fantastic. They smash through the night and do all that fancy adjusting themselves if you get oncoming traffic, to keep the lights on high beam without blinding anyone. In my notes I wrote that the turning circle for the Outback felt pretty tight, but it turns out to be 11 metres, which is on the high end. It doesn’t feel that big, and after my week with the car I got used to the overall size, and height. 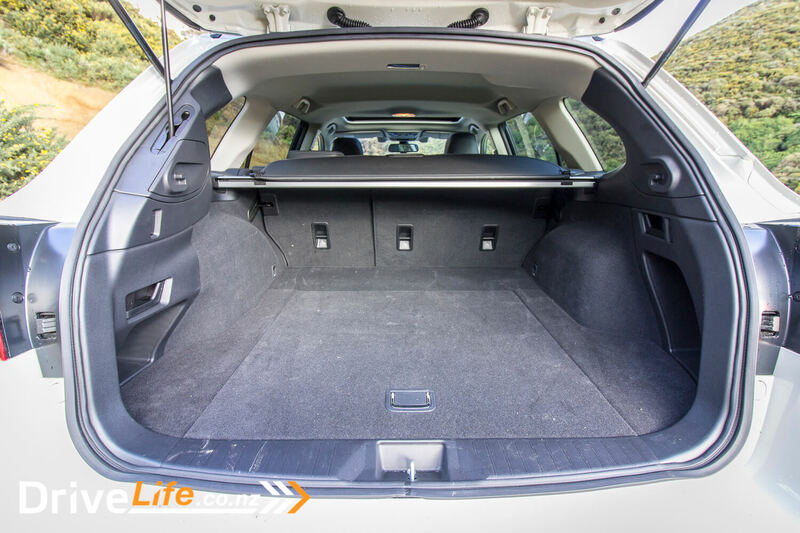 With 213mm of ground clearance, the Outback does sit very high. That height and high centre of gravity means that windy roads aren’t that friendly to the car. It does ok, but it does feel a bit roly-poly at times. On my way to take photos of the Outback, I managed to find some decent metal roads to give you a feeling of where this car is best at home. The Outback nailed that road – this is where it deserves to be, and where it shines the most. I went over a wet, rutty metal road – with lots of loose metal, areas of wet clay, huge puddles. This road had it all and the Outback loved it. The ride was excellent, with only a few major potholes sending bangs into the cabin. Naturally, the AWD helped a lot here, as did the ground clearance when I had to go off-roading lightly to get my photos. This car loves roads like that. 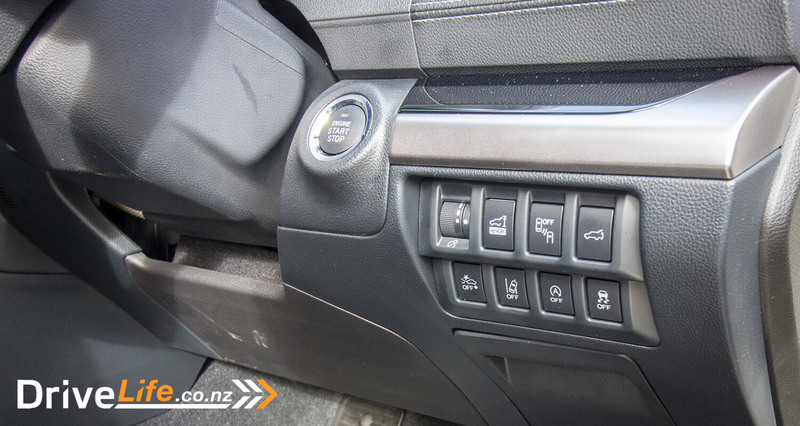 For times when the going is a bit slower and rougher, you can always use the Outback’s X-Mode button. 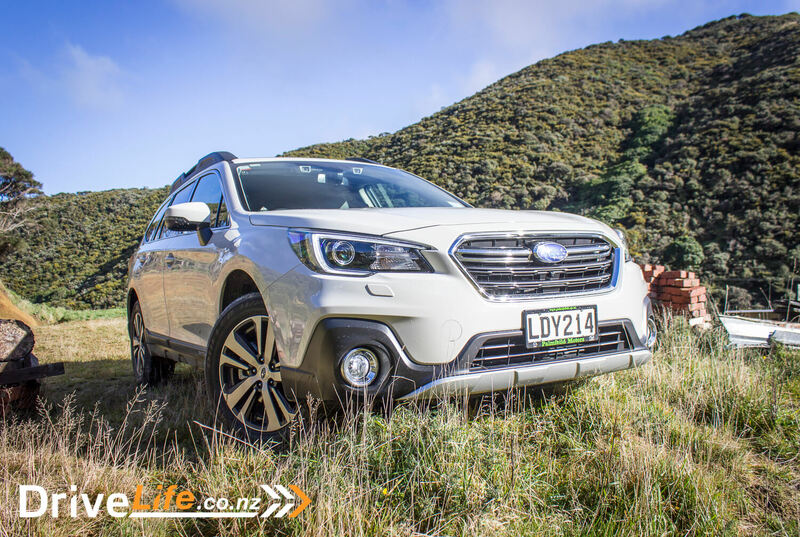 Here’s what Subaru says about X-Mode: When X-Mode is activated, electronic control of the engine, transmission, All Wheel Drive system, brakes, Vehicle Dynamics Control System, and other critical components is optimised in off road situations. 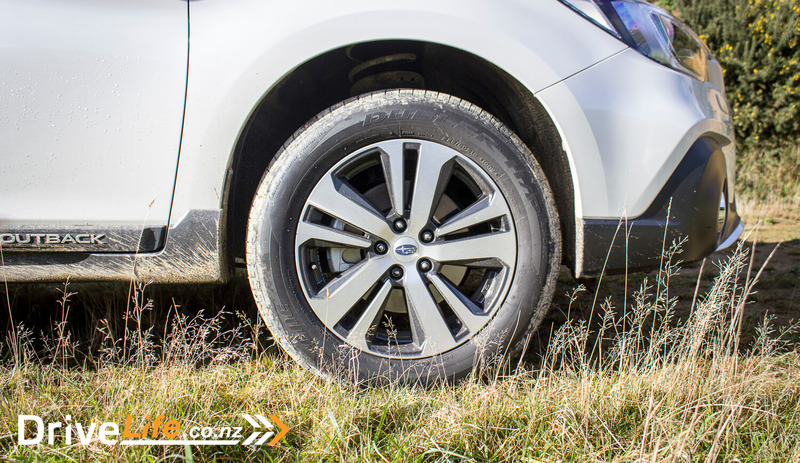 X-Mode helps reduce potential wheel slip on slippery surfaces, climbing steep inclines, and navigating rough roads. It also incorporates a hill descent control function. X-Mode helps increase driving performance, confidence, and control. 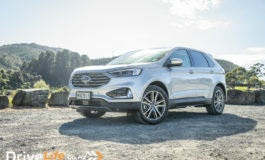 X-Mode is available on Outback, Forester and XV models. One last complaint, and it’s not specific to Subaru: engine auto-stop. Yes, I know I keep on about it, but it’s my mission to educate car manufacturers about how they get this so wrong. Does the Outback do it wrong? You bet. Picture this: you pull up at the lights, engine auto-stop kicks in to save you petrol and emissions. Great. It’s going to be a while, so you put the electric park brake on – and the engine starts up, wasting fuel and creating unnecessary emissions. Why? Ask Subaru, and all the other manufacturers who do exactly the same thing. 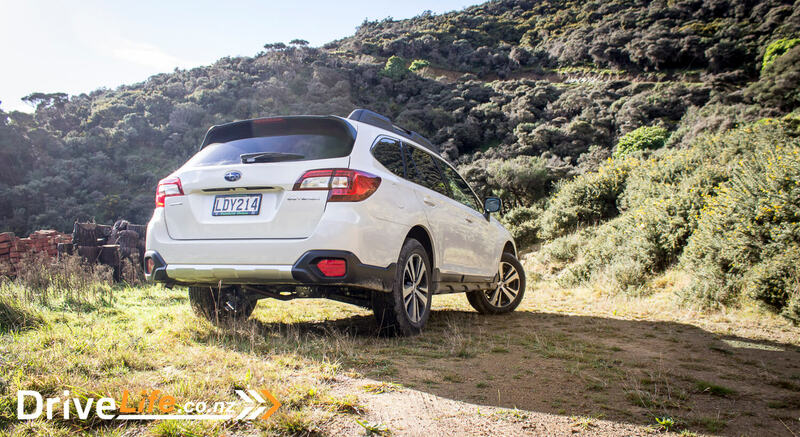 Subaru reckon the 2.5 Outback should use 7.3 litres of fuel for 100km travelled. Over my week and around 350Km, I managed 9.6L/100km. Not wildly out compared to some, but still a little hefty. For the 3.6, suggested is 9.9L/100km, and I managed 10.0, so that’s pretty much spot on. Funny how close this was to the 2.5-litre model, and all the more reason to avoid the 2.5-litre Outback. Want an old school wagon, but with all-wheel drive? Slim pickings here, people. I’ve added in the Mazda6 for comparison. The Outback is your typical ‘does what it was designed for perfectly’ type of car. Mechanically, the 2.5-litre is not my favourite car, but it does grow on you. I doubt I’m the typical Outback buyer anyway, but I can see how the car would appeal to that person. Perhaps that someone who wants to be able to hit the snow, or a bit of mud here and there – but doesn’t want an SUV. 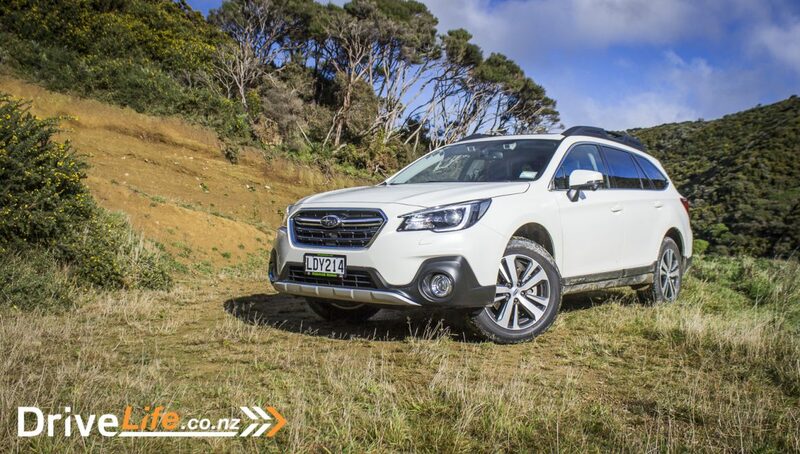 Interestingly, Subaru calls the Outback a ‘Large SUV’. I’m struggling with that label, but it’s still a pretty darn good station wagon, especially in the 3.6-litre car. 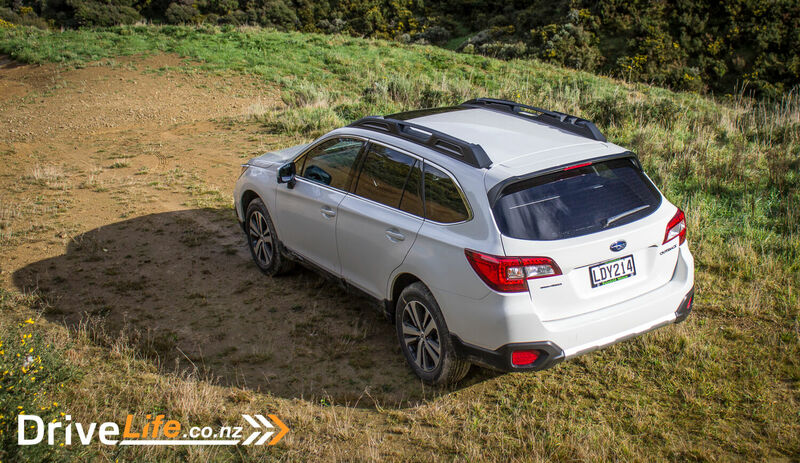 I have no doubt the Outback will retain its market share, and with the 2018 model there’s enough improvement to appeal to more buyers.